*** Permission is granted to make copies of the Everyone Is a Winner! CD for your group. Now is the time to share the Good News... Yes, Jesus Loves You! 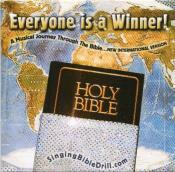 Make and share copies of the CD to give as Trust Jesus love gifts.